What does it mean to major in psychology? Psychology is the study of the basic laws and principles of human and animal behavior; it seeks to understand what motivates people and why people behave the way they do. Psychology majors learn the scientific approach to the study of human and animal behavior, and can take courses in a variety of subfields, such as social, cognitive, personality, abnormal, developmental, and behavioral neuroscience. They also learn the research process: experimental design, data collection, analysis, and interpretation. Psychology majors gain a broad knowledge of human and animal behavior as well as skills in statistical analysis, research, testing, writing, observation, record keeping, surveying, scientific reasoning, and scientific methodology. 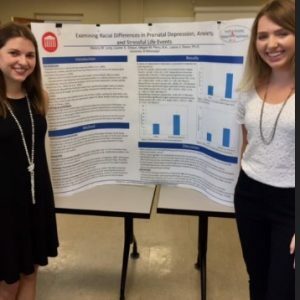 Why is the University of Mississippi a good place to study psychology? There are 25 faculty in psychology, with areas of specialization that include clinical, cognitive, developmental, experimental, neuroscience and social psychology. Students have the opportunity to gain experience in the field through service-learning and experiential courses. They can work with faculty on research while earning credit towards their degree. Students can also gain experience as teaching assistants or by completing internship experiences while earning credit towards their degree. The UM chapter of Psi Chi, the national organization for students in psychology, provides volunteer opportunities in community organizations and preparation for graduate school. Some faculty provide travel courses related to the discipline, such as Dr. Laura Johnson’s Ecology, Culture, and Youth Psychology in Tanzania. 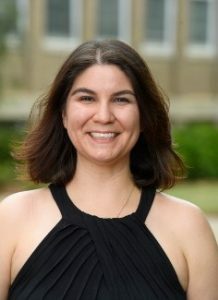 Dr. Stephanie Miller, Assistant Professor of Psychology, earned her Ph.D. in Developmental Psychology from the University of North Carolina at Greensboro. She studies cognitive and social development across the lifespan, with an emphasis on early childhood. She examines how children come to control their thought and behavior (e.g., delaying gratification, problem solving) and what supports this development. In addition, her work focuses on how this control relates to other social and cognitive processes, like social understanding and memory. She teaches developmental psychology, statistics for the behavioral sciences, and research methods. Dr. Miller has projects examining the emergence of toddlers’ cognitive control and the possible social developments that may support this control, like parenting and language. Into preschool and school age, she looks at how this more developed control aids functioning in everyday life, such as the role cognitive control plays in memory, creativity, and friendships. What can UM psychology majors do after graduation? A liberal arts education empowers and prepares students to deal with complexity and change through a broad knowledge of the world. They gain key skills in communication, problem-solving, and working with a diverse group of people. Related careers in psychology include health care, behavior analysis, education, counseling and therapy, rehabilitation services, social work, drug/alcohol education, human resources, advertising, law, management, systems analysis, business, sales, urban planning, and public relations. Nate was an Ole Miss First Scholar and Ronald E. McNair Scholar so he was involved in community service, leadership development, and research. He presented research relating basic psychological needs satisfaction in the parental relationship to students’ worries about college at the Society of Personality and Social Psychology conference in San Antonio. He also researched basic needs satisfaction in relation to headache occurrence. Since graduation Nate has been pursuing the PhD degree at the University of Missouri where he studies age-related changes in human memory. 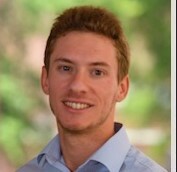 His long-term career goal is to work at a research university to continue his research and train aspiring students. Whom should I contact to learn more about majoring in psychology?